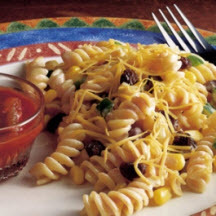 CooksRecipes has quality, kitchen-tested recipes for salads made with a variety of pastas, macaroni, noodles as a main ingredient. 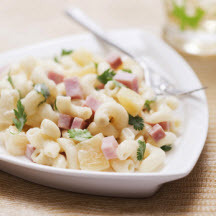 This deliciously easy macaroni salad, with cubes of tender cooked ham, chunks of sweet pineapple and fresh cilantro is sure to be a big hit! 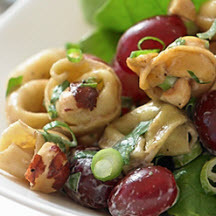 A delicious tortellini salad with sweet grapes, toasted hazelnuts, green onions and fresh basil tossed in a creamy Dijon dressing.